Often times when I travel I can’t wait to go international. Sometimes it’s easy to forget that some of the most beautiful, exhilarating trips are those you can find in your own home country. Admittedly, before last month I’d really never been out West (with the exception of my virtual binges of Westworld). My mom was the one who originally suggested an Arizona road trip, and perusing google images for a quick minute had me convinced. Wide open skies, dusty red rocks, and towering cacti…hello, Instagram heaven. For those of you who are making your first trip to the sunshine state, here’s a guide to a 5 day road trip that’s sure to get you hooked on the wild, wild west. 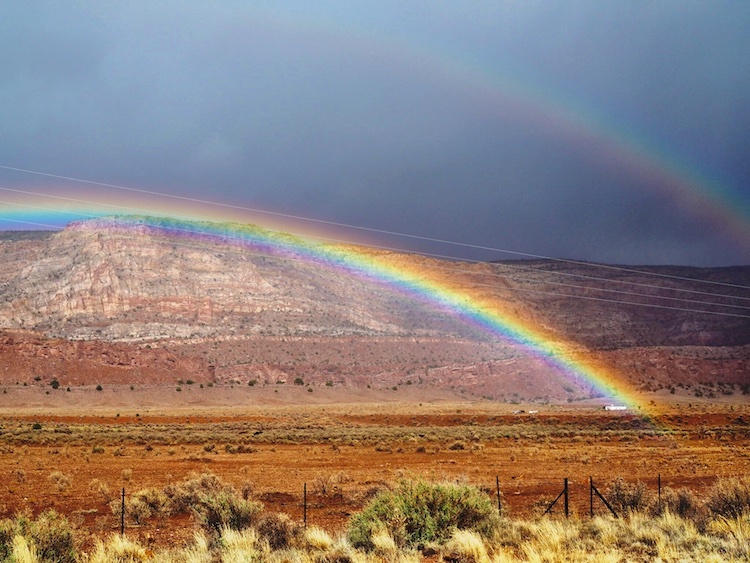 If possible, fly into Flagstaff and make the two hour drive to Page, Arizona. Flights into Phoenix are likely cheaper and direct from more cities, so that’s what we did (your drive will be lengthened by about two hours). Page is quaint little town in northern Arizona, nestled alongside the stunning shores of Lake Powell, one of the largest man made reservoirs in the states. Page is popular among house boaters, and those that want to see the famous Horseshoe Bend and Antelope Canyon (the latter being what drove my mom and I there). The drive into Page along 89 North is unreal. For miles, you’ll see blue skies dotted with puffy clouds, towering rocks, dessert shrubbery, and barely any other people. If you get hungry for a snack or some shopping, stop at the roadside stands where Navajo people sell jerky and homemade jewelry. The Cameron Trading Post, about halfway between Flagstaff and Page, is also an great place to pick up whatever souvenirs your heart desires. Once you get to Page, have dinner and craft beers at State 48 Tavern and rest up for your adventure in the days ahead. If you have time, watch the sunset over Lake Powell from Wahweep Overlook. If you want stunning pictures of the canyon, you have to book the photography tour. 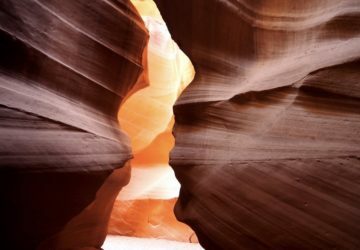 I recommend Adventurous Antelope Canyon Photo Tours. The photography tour means that your group will have a few minutes inside each cavern in the canyon alone. Required gear includes a DSLR or mirrorless digital camera, and a tripod. Going on the regular tour means you will ushered quickly through the canyons, and will likely NOT have time to snap any photos without by standers. Set your expectations appropriately. If you hate crowds, lower antelope canyon is a good option – you won’t see the iconic light beams that upper antelope canyon offers, but you’ll have more alone time. Don’t bring any bags. It’s not allowed and you’ll have to leave your items unattended in the open air transport vehicles that bring you to the canyon. After antelope canyon, make the short drive to Horseshoe Bend. 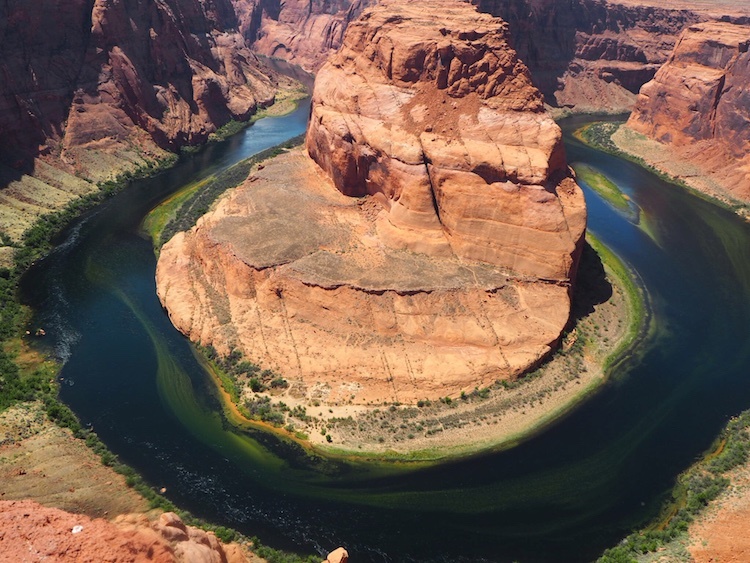 This natural formation offers a stunning view of the Colorado River bending upon itself around a large plateau, forming the shape of a – you guessed it – horseshoe. It’s a short hike (more of a walk, really) from the parking area to the overlook. The overlook itself is not fenced, so you can inch up as close to the edge as you dare. Be careful and remember that no selfie is worth an accident. Next, hop in the car and make the 2.5 hour drive to the grand canyon south rim. 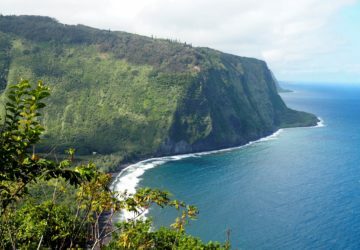 Along the way, you’ll pass a few scenic view points that you can pull off and see. Enter the park from the east side and stop at the Desert View watchtower to catch your first glimpse of the grandiose grand canyon. It really does look like a painting, and it’s so large that it’s hard to take in the depth of it. Grab dinner at The Arizona Room to continue your views over a your meal, as this restaurant sits right alongside the rim and has a wall of windows. Stay the night either in lodge in the park, or just outside in nearby Tusayan. Rise early and hike along the rim on one of the many trails. Find a list of all available trails and hiking here. 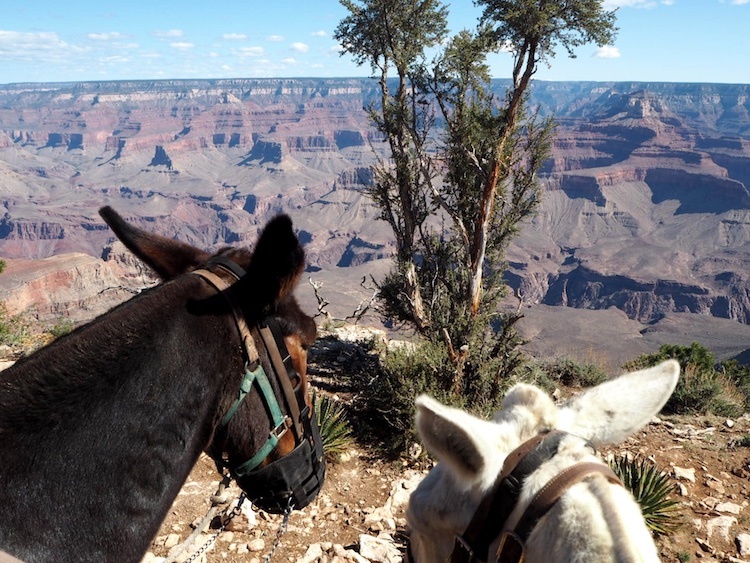 Or, for a fun alternative to hiking, take a three hour mule ride along the rim. This experience is offered by Bright Angel Lodge for about $120 per person. No prior riding experience is necessary, and you’ll get a quick tutorial on how to steer your mule before you begin. 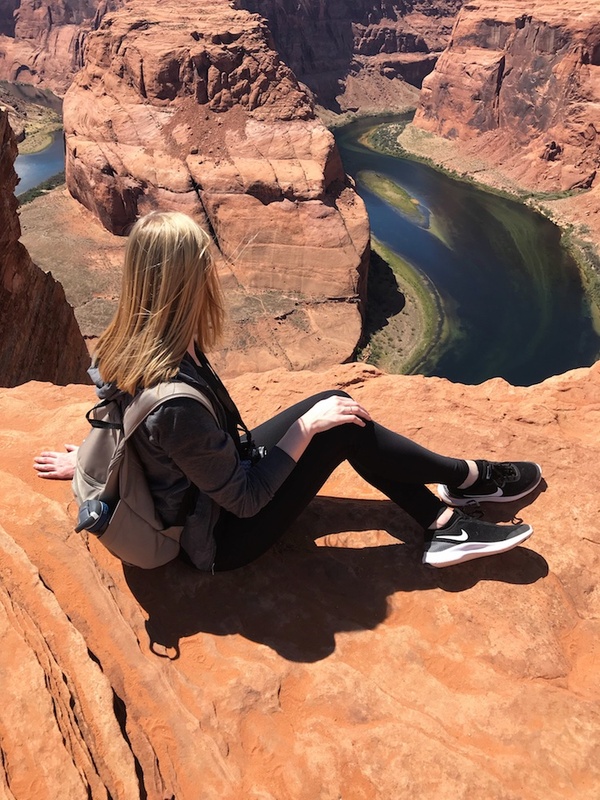 Along the tour, you’ll stop at about six scenic spots to snap photos and learn about the significance of the grand canyon from your Navajo guide. By the end of the tour, you’ll have made a furry friend and soaked in three hours of incredible views. 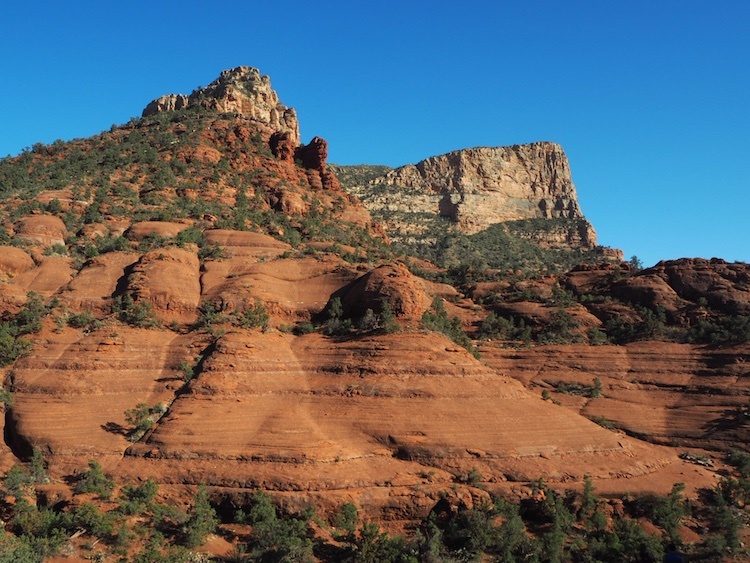 In the early afternoon, set off toward your final destination of Sedona. The drive from the Grand Canyon south rim is about 2.5 hours. Take the following route – 64, to 180, to 89A – to drive around the mountain of Humphrey’s Peak, and through the winding Oak Creek Canyon. Once you arrive in Sedona, treat yourself to a relaxing treatment at Uptown Massage, and grab dinner at one of the foodie approved restaurants in the area. I recommend Cucina Rustica for modern Italian in the cutest space. Day 4 is all about Sedona. Shop to your hearts content in the morning. 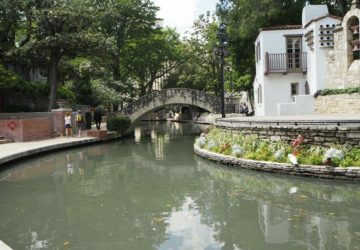 Check out the boutiques along the main drag in town (off of 89A), and then explore the charming, artistic shopping village of Tlaquepaque. To remember your trip, consider buying some turquoise jewelry handcrafted by Navajos. In the afternoon, go off-roading with Pink Jeep Tours to get up close and personal (think, on top of) the iconic red rocks that make Sedona so famous. Buckle up for a bumpy, yet beautiful, ride. The adventurous, fit travelers can also find numerous hiking spots, including Devil’s Bridge, to occupy the afternoon. For your last night, treat yourself to amazing cuisine and cocktails at Saltrock Southwest Kitchen. Dine on the patio to watch the sun set over the red rocks, and toast to a week well spent. Alas, you’ve reached the final day of your Arizona Road Trip. 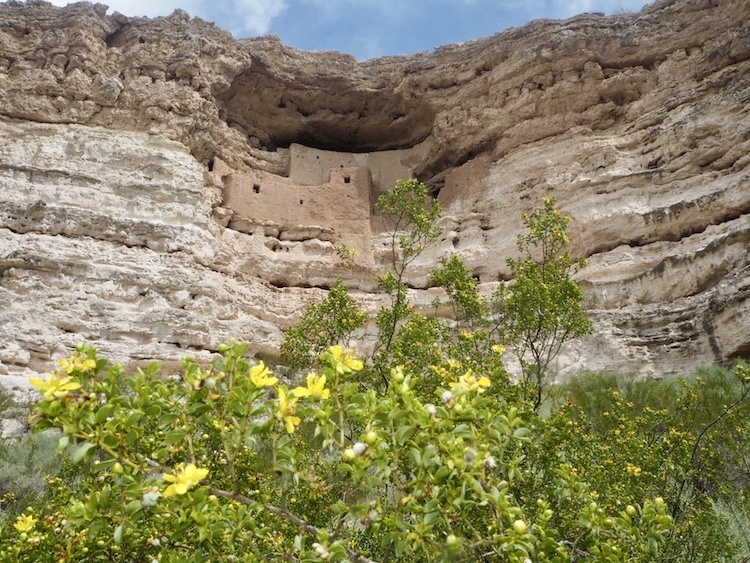 On your two hour drive to the Phoenix Airport, stop at Montezuma Castle to check out the remains of an indigenous community built in the cliffs. Bring your camera to snap your last pictures of beautiful Arizona. If you have time, head into Phoenix for a final lunch before heading home. What else would you add to your 5 day Arizona road trip? I'm Olivia, better known as Olive by my closest friends and family. 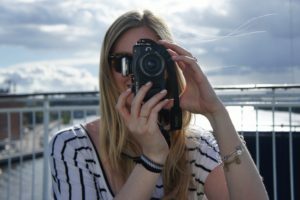 I'm a Consultant by day and travel blogger by hobby. This site contains a glimpse into my own adventures with the goal of inspiring you to make travel a priority in your own life. Happy wandering!